The New Trade Mastery series is a chance for traders to meet monthly and keep refining their trading skill. The reason is simple, we believe that when the education stops, so does the progress. What do Warren Buffet, Michael Jordan, John Grisham and Oprah Winfrey have in common…? They have each achieved an elite level of success in their respective fields – while continuing to do so year after year. And… they have the money to prove it! So what makes a successful individual, like those listed above, capable of producing outstanding results on a consistent basis? It’s simple. They are focused. They are disciplined. And they are determined to achieve mastery of the skills they need to reach their goals. The New Mastery Series by TradeSmart University is designed to help ambitious traders move to the next level in specific concentrated areas of study. Each of these “master classes” are a natural addition to the successful trader’s training and growth. Each class offers a deeper level of study into subjects in which most students are already familiar, with deeper insight into how to turn those ideas into extreme profits. The Mastery Series is comprised of individual classes, each featuring a single 90-120 minute LIVE webinar focused on a specific subject. Presented by teachers who have not just mastered the art of trading but have also mastered the art of teaching others how to trade, each lesson includes a detailed workbook to follow along with during the lesson to help solidify the material in the student’s mind. Students also receive with their class a video recording of the live webinar so they can reference the lesson for any details they may have missed during the live teaching. This original Mastery series (from 2011) was our second most popular series ever created (second only to Foundations of Stocks and Options). Some of the lessons have become legendary and continue to be watched by our students. 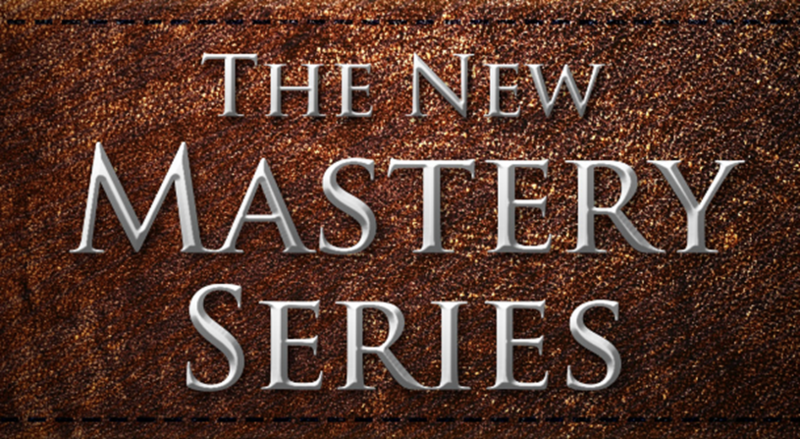 The New Mastery Series will certainly be the same.